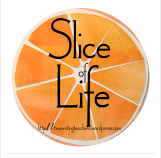 Two Reflective Teachers: Slice of Life: A broken air-conditioner or an unwelcome encounter? Oh, no! You set this up so nicely. Poor Okie! Poor you! I'm sorry your serene time was invaded by a skunk! On another note, it's so hard to be pulled in different directions, isn't it? Good luck to your Larkin! Nice use of the twists and turns (and poor doggie) for a slice. AS they say, we all have our s*&%t. My sister recently had a similar problem with her dog in Texas. I think skunks live everywhere. I like how you wrote this slice, drew me right in and I was there with you. I hope you have more fun adventures in store this summer. Skunk, ewwwww! And if it's any comfort to you, this week in Colorado is cool and rainy. The high is supposed to be in the 70's today, so they will be ok without air conditioning. P.S. I have a great mechanic if Larkin needs one. Carol, you are the best! Thank you so much. They found a Honda dealership and got the ac taken care of. I will let her know, and I'll encourage her to be in touch! Thank you!!! I, too, am excited to see what the future has in store for Larkin! Oh..skunk is bad!! I am the queen of guilt --not sure it is productive in any way for any one. Glad all is well and can't wait to hear about Larkin's adventures. I love how you told this, juxtaposing their trials with the one you and Okie ended up facing. Skunks and broken Acs - both stink! karma? LOL. Sounds like everyone had an adventure and came out unscathed on the other side. Here’s to more summer adventures.